Good morning Dies R Us fans! 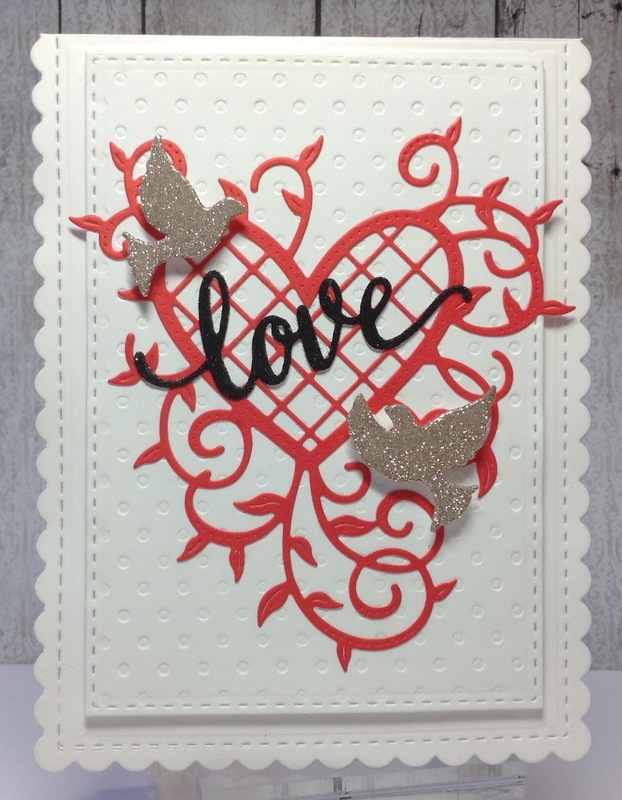 Birgit back with you today with a lovely card for your Valentine. Love is in the air! Just in time for that special someone for Valentine's day. 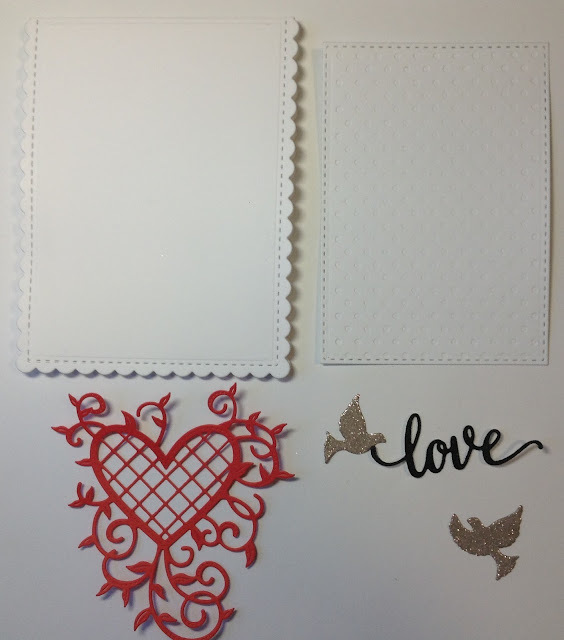 I started by cutting out the Impression Obsession LOVE die out of a piece of white card stock that had double sided adhesive over the top so I could add some Elizabeth Craft Silk Microfine Glitter in Basic Black. 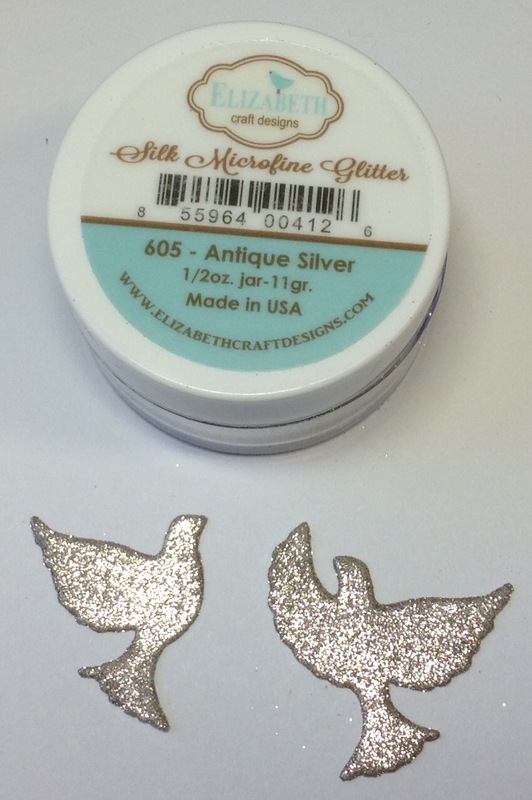 I used the same glitter treatment on two of the Memory Box Small Flock of Doves, except I used Antique Silver. This fabulous heart is Cheery Lynn's Lattice Heart & Vines. Just look at the amazing detail! This cut perfectly with one pass through my machine. Here's all the parts to my card. I added dimension to the card by using a piece of chipboard under the embossed panel and foam squares under the doves. Wow, the heart die is just gorgeous Birgit, I love the detail, the bold black love sentiment and the glittered doves. A fabulous card with lots of ideas, thank you. Gorgeous card! Such beautiful dies! 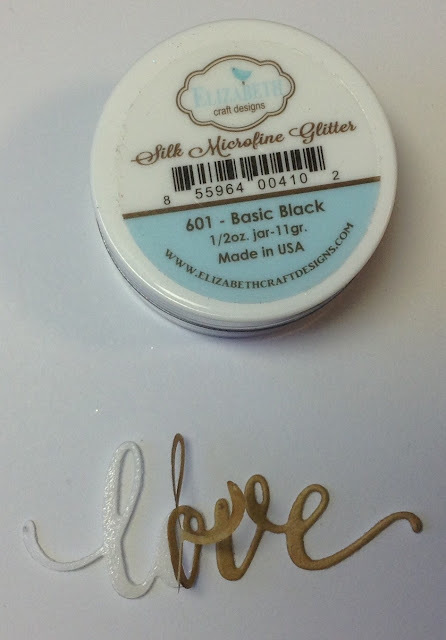 Love how you added your glitter, easy peasy! That heart topped with love is fabulous! Love this! 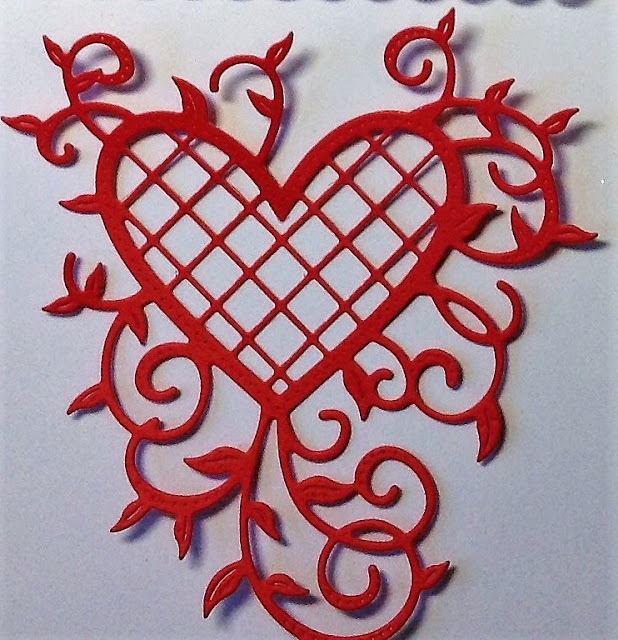 I love lattice on anything and the heart with lattice is beautiful. 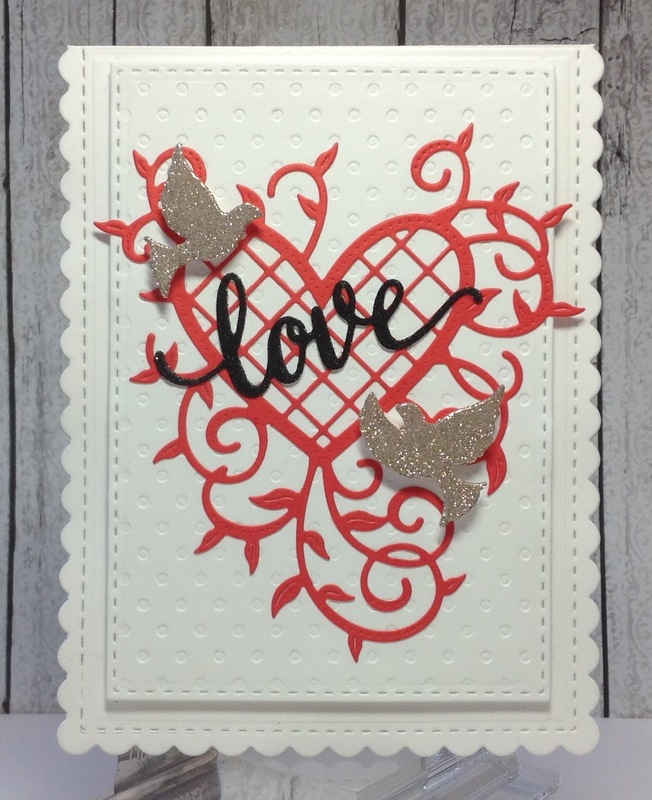 Perfect layout with the doves and your special glittered touch. 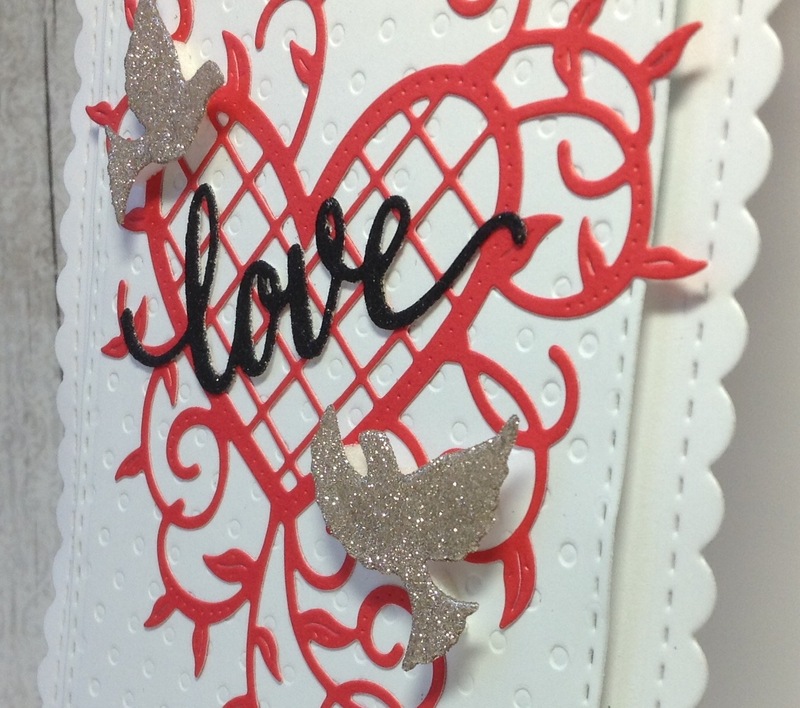 very sweet, love the shimmer on the birds and great embossing on the background too! very nice and great job glittering! such pretty work!